The unique designs and irresistible charm of hundreds of pieces of interesting furniture made of cane, rattan, reed, rush, and willow are displayed in more than 250 beautiful full-color photographs. The evolution of wicker furniture styles and the preeminent wicker manufacturers of the period are carefully explained. Care and restoration are also discussed. 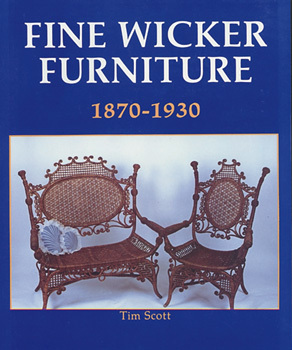 From chairs to desks, baby carriages to ferneries, the book will take you on a stroll through decades when wicker furniture was a staple inside and around homes all across the world.